Are your children up to date with their shots? The Immunization Clinic provides shots to children two months of age up to their 19th birthday. Parents or legal guardians must come to clinic and stay with their children. The Clinic can also provide the MMR vaccination to adults at least 18 years old when it is required by their school or college. Flu vaccination is available seasonally. Please note that the Clinic does not provide the Shingles (Zoster) vaccine— please contact your health care provider or pharmacy. The fee is $15.00 per visit, but inability to pay is not a barrier to care. The Immunization Program participates with NYS Fee For Service Medicaid and Medicaid Managed Care Programs (Total Care, Fidelis and United Health Care). Effective October 1, 2012 the Onondaga County Immunization Clinic is no longer able to provide vaccines to children who are fully insured by private health insurance. In addition, the clinic is not able to provide vaccines to adults with any form of insurance, including Medicaid and Medicare, unless you are a college student and require an MMR for enrollment. If you have health insurance please contact your own health care provider to schedule an appointment. If you have any questions regarding your availability to receive vaccines at Onondaga County Immunization Clinic, please call us (315) 435-2000. Are your child's shots up to date? Parents, do you have a child going into 7th or 12th grade this fall? Check out the meningococcal requirements! 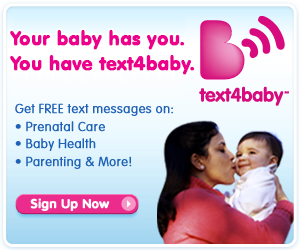 For more resources and information on infants, children, and families, please visit onhealthyfamilies.com.